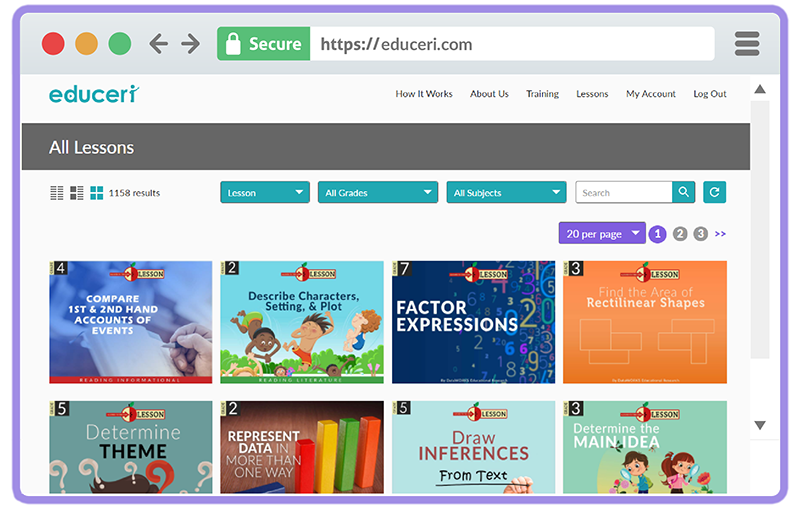 Educeri is a lesson subscription service that gives teachers fast and simple access to hundreds of standards-based lessons. Educeri lessons are slide shows that work through your everyday web browser like Safari, Chrome, Edge, etc. With educeri, teachers have access to all content for all grades and subjects, allowing them to accelerate or remediate as needed. 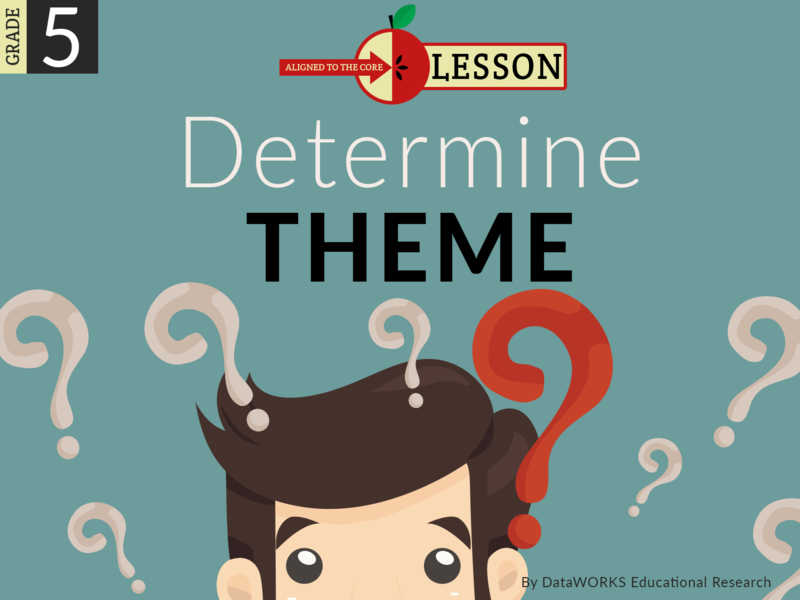 Teachers can quickly distribute an electronic version of the lesson to their students, and we are frequently adding quizzes and additional resources. Educeri’s goal is to provide affordable and fast access to well-crafted, standards-based lessons that support great instruction, so students can learn more and learn faster. Try educeri as an individual for 30 days without having to provide your credit card information upon signup. At the end of the 30-Day period, you can continue to use all lessons for a small fee. Your account can be set up in about 30 seconds. Your team/school can try educeri free for 60 days. At the end of the 60-Day period, the school can continue to provide all teachers access, or if the school chooses not to, then individual teachers can continue with their own email and account for a small fee. The setup time for a school account is 1-2 minutes on average plus a free webinar demonstration and Q & A with your staff. Minimum of 5 users. Educeri offers 2 payment plans that provide the same level of access. The only difference is the payment cycle. You can choose to pay $7 month-to-month or $75 for one year, and essentially get one month free. Educeri lessons are research/standards-based and classroom-tested. They support the instructional model of interactive teaching that we have pioneered called Explicit Direct Instruction. It makes content explicit and delivery direct, which is great for initial first teaching of difficult content and great review for tests. Educeri has lessons for ELA, Math, Science, History, and ELD. Every lesson has built-in English Learner strategies and Checking for Understanding questions. All lessons are aligned to state and national standards. Educeri lessons don’t rely on expensive slideshow software, but they work as if they did. They are strategically organized slides with fun and simple animation to support great whole-class instruction. The only thing that teachers need to use the lessons is their everyday web browser like Safari, Chrome, Edge, etc. Educeri’s goal behind creating web-based lessons was to show that you don’t need new gadgets to modernize your classroom. You just need resources that work “modernly“ with what you already have. Start your 30-Day trial today. Access teacher and student resources immediately. Start your enterprise trial today. Add your teachers to your account in seconds.